You are an excited potential home ready to welcome your new companion. You’ve researched a breed, or perhaps you’ve owned a dog in this breed before, and you’ve decided it’s time to find your new friend. 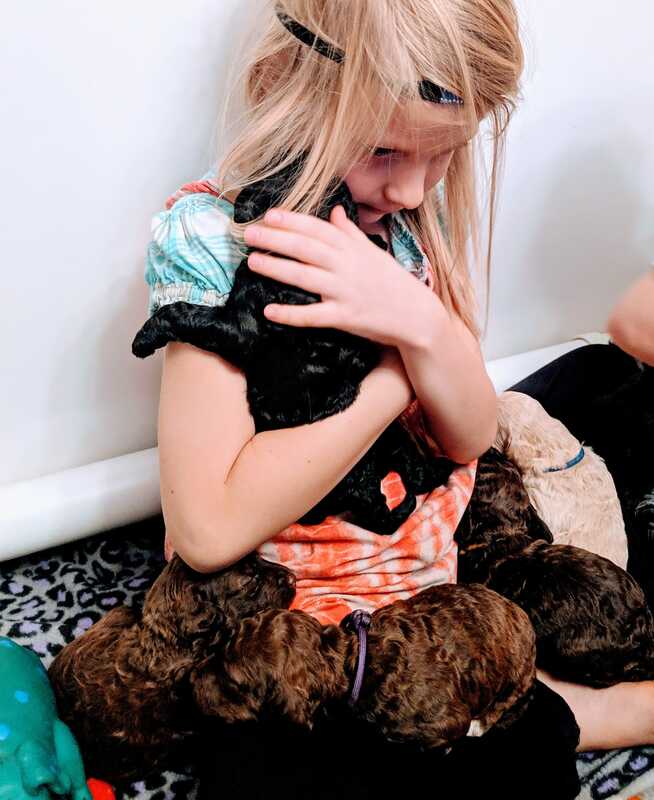 You see a litter of puppies of your chosen breed, or you are on a waitlist for a puppy from a breeder you’ve researched; the litter is here and the breeder has a lot of puppies to choose from, with lots of color! You may find your first instinct is to reach out to pick that puppy with a pattern that catches your eye. You’re excited, you’re ready, why not pick that puppy as soon as it’s born? People choose to get in to a particular breed because something about it draws them. Be it herding ability, great with kids, non-shedding, a perfect watch or guard dog….whatever the reason, you’ve chosen to bring home a new family member of that breed for a reason. Why does that breed have those traits you desire? Because breeders have cultivated a line of dogs, or breed, that exhibits those traits. 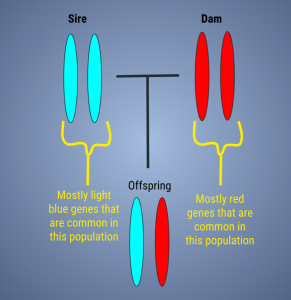 This is a part of what makes a breed what it is, and breeders breeding to preserve their breeds will want those traits to continue. So how do breeders do just that? Breeders evaluate the next generation. They watch the movement of their puppies (how they do something called “gaiting” which is a part of showing dogs and proper movement), they look at the structure of the puppy for show and performance potential, and they analyze their personalities and drive. What is drive? There are many different types and we will discuss some here very briefly. Retrieve drive: does the puppy innately return an object that is thrown? Prey drive: does the puppy chase things that run from it? Human drive: does the puppy desire to work or be with humans? (goes hand in hand with biddability, but I think it’s personally a separate consideration) Work drive: does the puppy want a “job” to do? 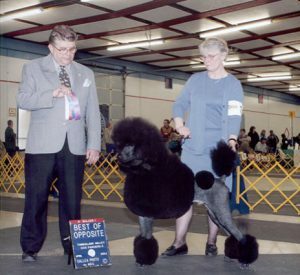 These drives are instincts inherited from the dogs that came before them, and are important in the development and maintenance of a breed (a part of breed “type” or what a breed should be in its pure essence). These aspects discussed above are not apparent at birth. They develop over time, depending on the breed of dog, and will need evaluated later in the life of the puppy. Many breeders will keep one or two puppies intact (able to breed) from every breeding that they choose to do. 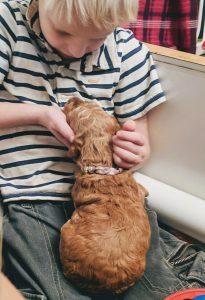 Because of the delay of these traits becoming obvious, a breeder cannot (or should not) place puppies prior to knowing the above aspects in their puppies. 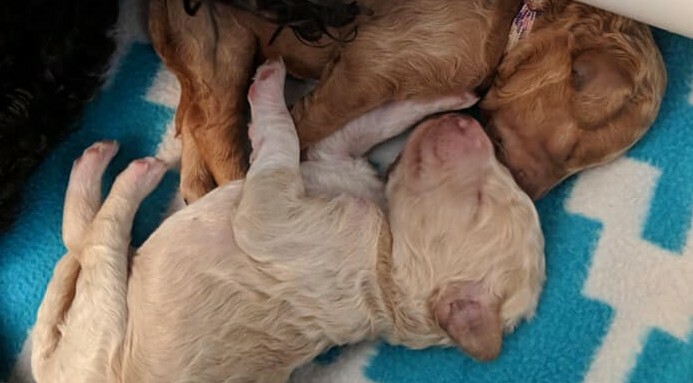 Both for cultivating the next generation to have the traits of the breeder’s line and breed, but also for the family welcoming that puppy home. So if you want to support the preservation of a breed you love, you should support the breeder’s selection of the next generation and selection of your next family member with or for you. Tell your breeder what you are looking for and be patient while you enjoy watching them grow, knowing that your next family member will best be selected once you know who she or he really is. After all, you wouldn’t marry someone who looked quite handsome but has nothing in common with you! Say you want a couch potato puppy, one whose sole goal in life is to melt in to your arms when he is not playing fetch with you. What if, instead, you get a puppy who is disinterested in cuddling and runs after the ball only to drop it and run off in to the meadow while you run after him screaming? You might laugh, but I just described my first puppy as an adult, a bichon I named Dookie. While he is a great dog, he still to this day is not interested in my adoring cuddles (aside from a pat he chooses when he wants) nor has ball retrieval ever interested him, although he does begrudgingly acquiesce to return to me rather than frolic in fields….usually. I should also mention, I picked him when he was only 3 or 4 weeks old, long before we could have known “who” he is. Sometimes a home may say that they want their puppy to “choose” them. 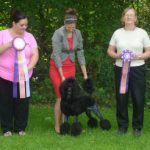 While there may be something to this, it’s still important to listen to your breeder about that puppy, if only to know what to expect. For example, you might want a potential therapy dog. Say the puppy who connected with you indeed has a connection to you, but in general does not typically engage with strangers. That puppy will be unlikely to enjoy a therapy dog career, but may indeed be a good service candidate. This exact scenario has happened with one of my homes in the past and the puppy is training for service work. Or say a puppy really loves your child, but also has a high work drive. In this scenario your puppy will need to have enough mental and physical stimulation to keep it happy (and your house intact) even though it also may love your child. 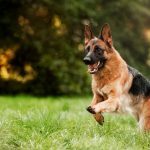 A good breeder will know these qualities about your puppy to help guide you. Some breeders will allow you to have some say as to which puppy will be yours, while others will pick for you. 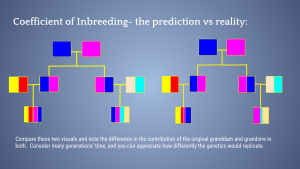 This will depend on the individual breeder and breed itself. So, you know the breed you want for the reasons you want it. And the reason that breed has those traits is because of the careful cultivation of lines of dogs to create a predictable line and breed. When selecting your next puppy, be sure to keep this in mind, even though you want to begin bonding with your new companion as soon as you are able. Tell your breeder what you are looking for and be patient while you enjoy watching them grow, knowing that your next family member will best be selected once you know who she or he really is. After all, you wouldn’t marry someone who looked quite handsome but has nothing in common with you! Thanks for reading the first of our Puppy Buying 101! Our hope is these posts may help buyers be savvy when choosing their new companions. 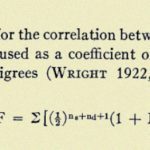 Have a topic you’d like addressed? Ask us!